A little care and attention before the onset of winter will help the grass survive the cold and wet weather better, so that you can enjoy it again next spring. Spring-tined Rake, Fork, Grass Seed. 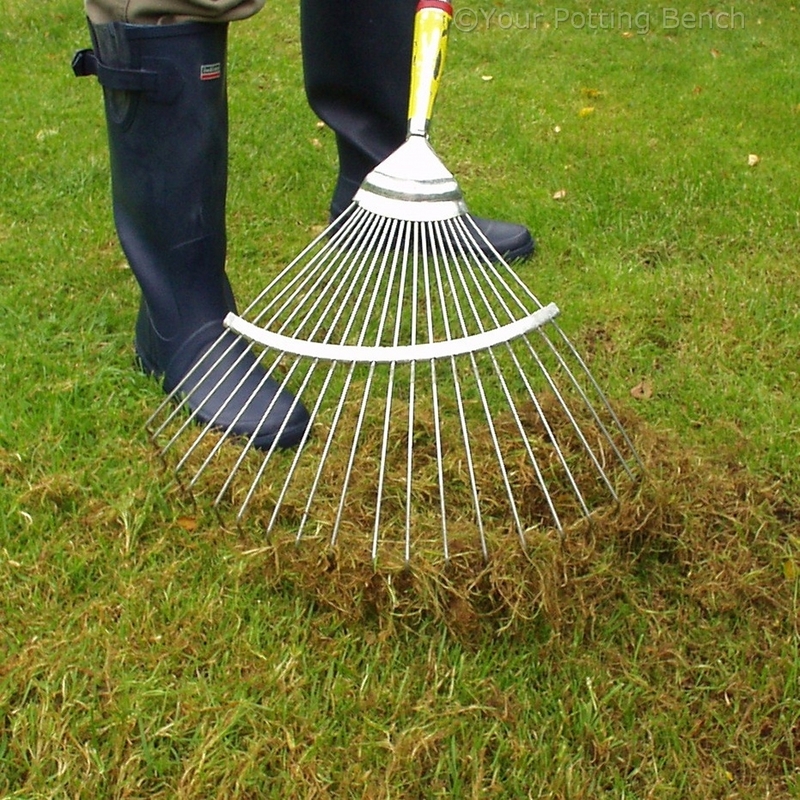 Scarify the lawn using a spring-tined rake to remove thatch (dead grass) and moss. As long as no chemicals have been applied to the lawn, this can be added to your compost bin. 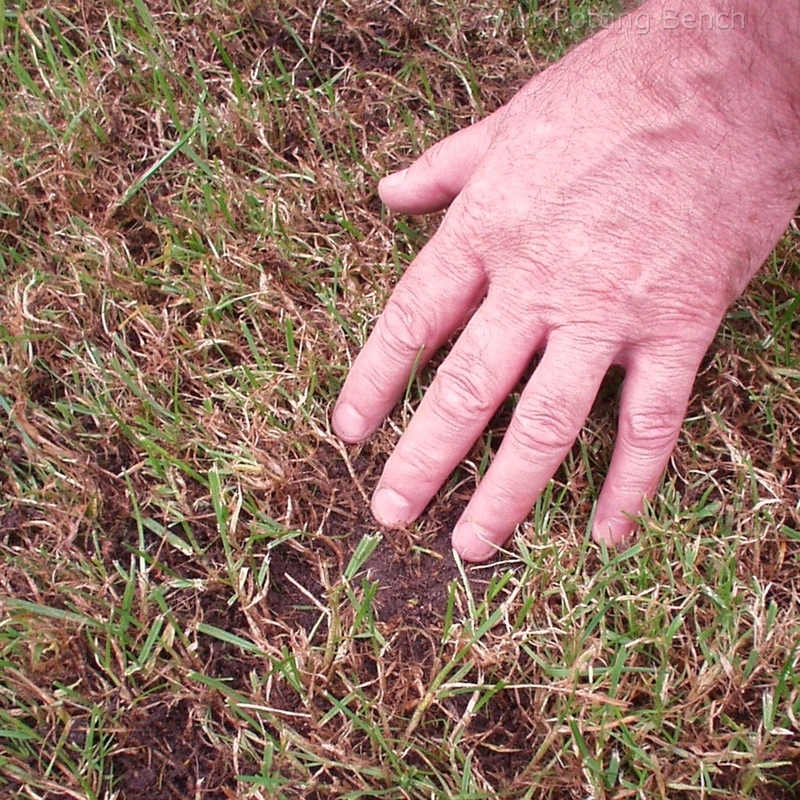 If you find that this creates bare patches, apply grass seed if the temperature is warm enough. If you are working late in the season, this will have to wait until spring. 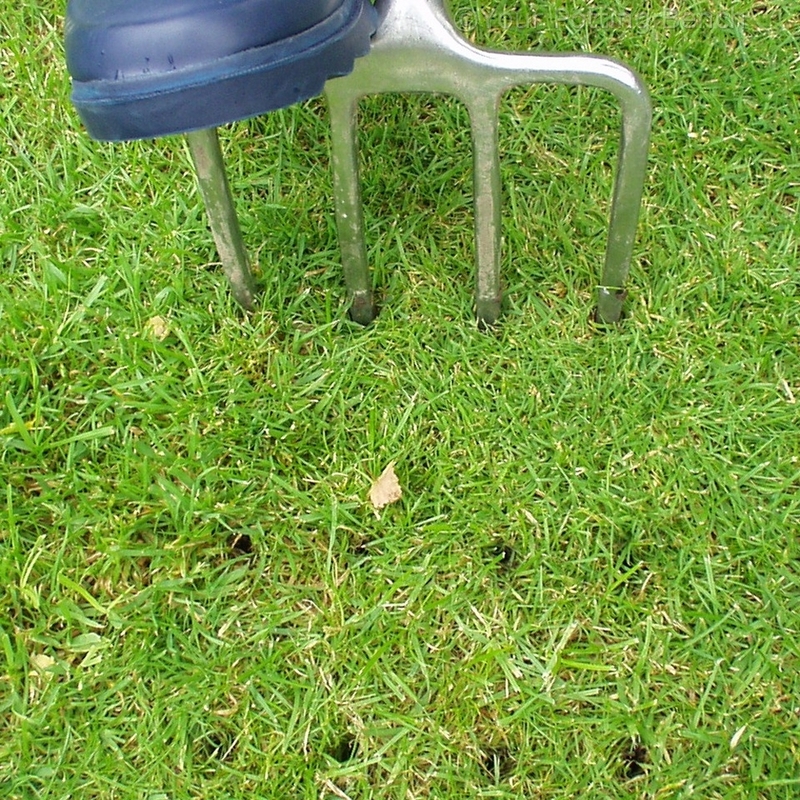 Aerating the lawn by driving the tines of a garden fork into the grass to their full depth allows air to the roots and also aids drainage. If you have had a problem with water-logging, you can brush fine sand into these holes to speed drainage in future. 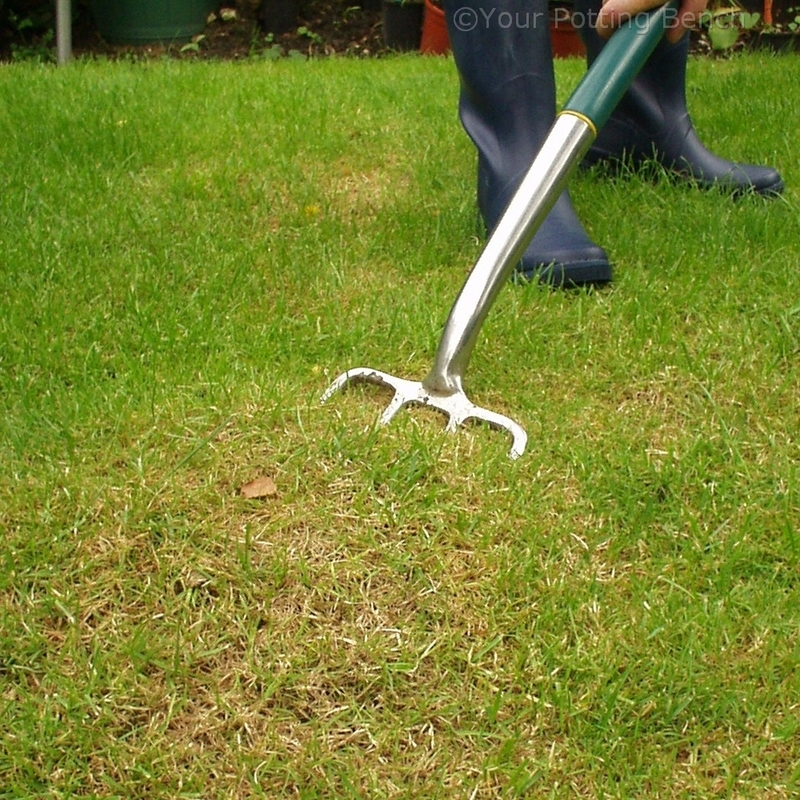 If one part of the lawn is used more than the rest, you may find that soil compaction is making the grass pale and weak. Lifting the area by pushing a fork into the grass at an angle and rocking back on it to lift the turf will allow air to the roots and help them recover.